From left: Senator Anna Kaplan, 311 Call Taker Pooneh Aziz and Supervisor Judi Bosworth are in the 311 Call Center at North Hempstead’s Town Hall. So that language is never a barrier to those seeking assistance from the Town of North Hempstead’s 311 Call Center, Pooneh Aziz of Great Neck, who is fluent in Farsi, will be available at the Call Center on Monday, Tuesday and Thursday from 9 a.m. to 3 p.m. to assist residents in Farsi. 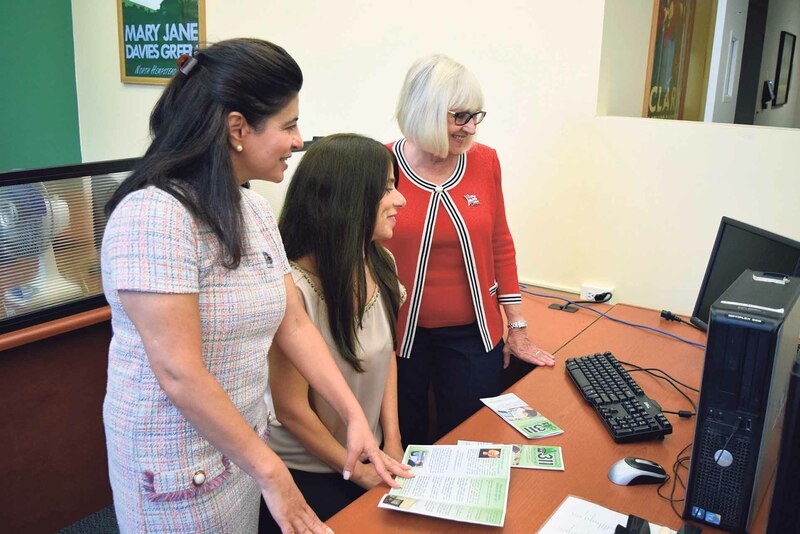 “Pooneh is an excellent resource for our Farsi-speaking residents,” said Senator Anna Kaplan, the first elected Jewish-Persian refugee and a former Town of North Hempstead councilwoman. “She will help provide them with helpful information and answer any questions they may have, such as about the Project Independence food shopping program, discounted taxi rides as well as town events and services. 311 Call Taker Pooneh Aziz is flanked by Senator Anna Kaplan and Town of North Hempstead Supervisor Judi Bosworth in the 311 Call Center at Town Hall. In addition to offering Farsi, the center has call takers fluent in Spanish and Creole.